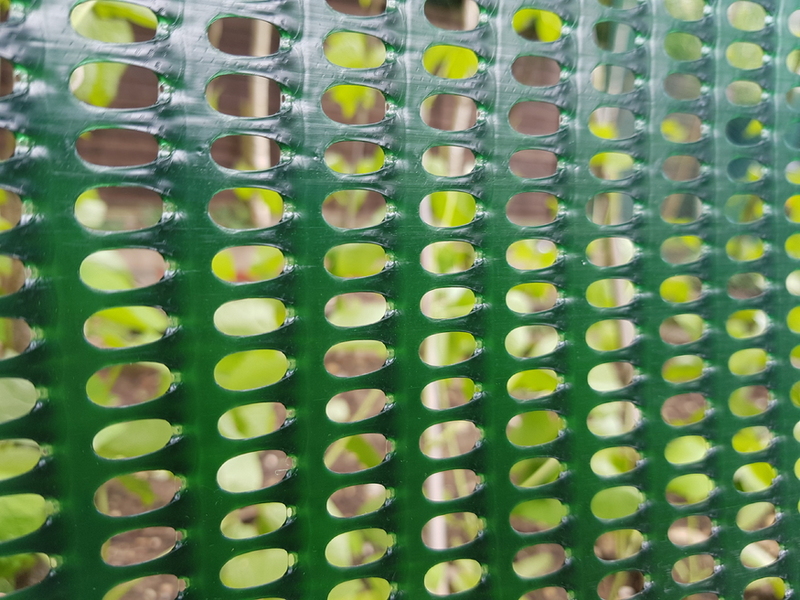 1m x 25m roll of dark green plastic windbreak fencing mesh delivering a wind protection factor of 55%. 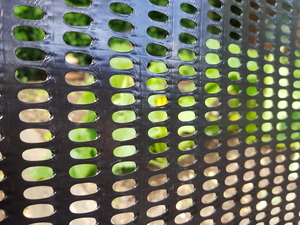 Windbreak mesh is an ideal protection for crops, nurseries, allotment crops, pets and animals from wind, rain and snow. 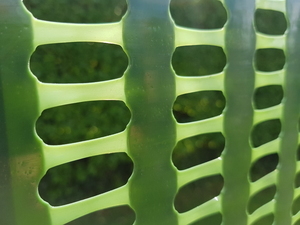 Windbreak fencing mesh is supplied with a 12mm x 5mm oval shaped aperture and from high-strength extruded plastic mesh. 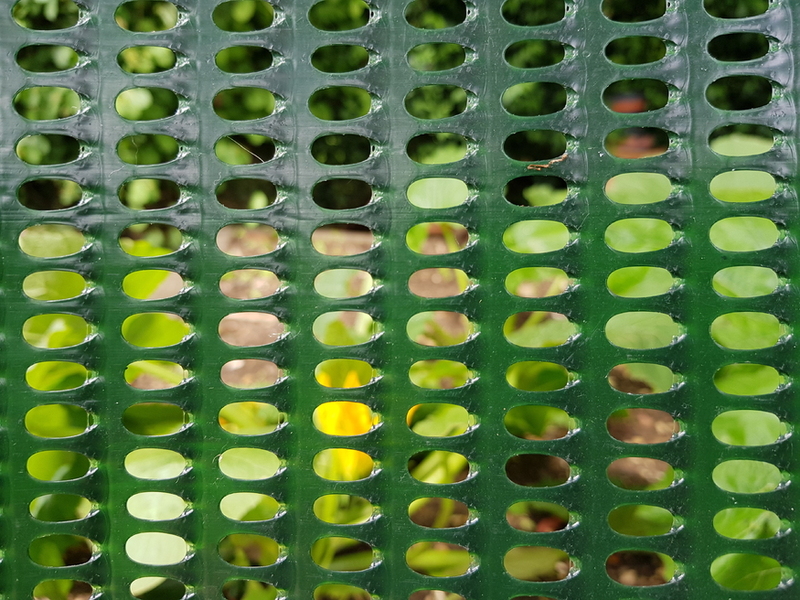 Our standard green windbreak fencing has an estimated life expectancy of 10 years in UK climates against UV degradation. 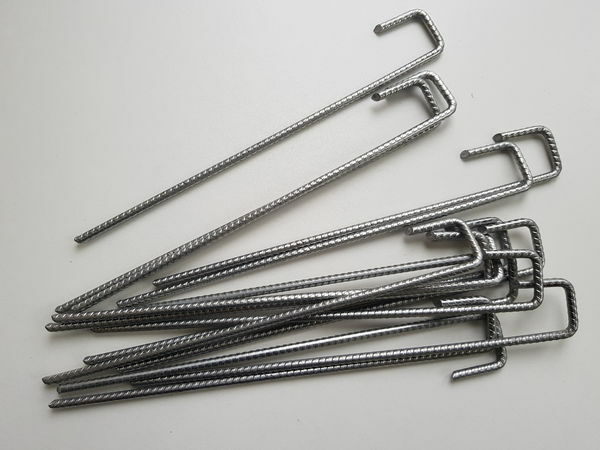 As with all our windbreak and plastic fencing meshes, installation should be carries out simply by battening the windbreak mesh to wooden posts. 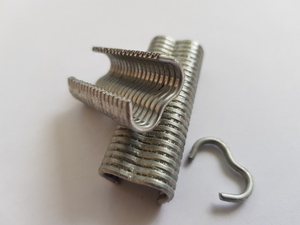 Battening rather than nailing individual mesh filaments ensures that the whole mesh takes the force of destructive winds ensuring the mesh doesn't rip and fail. 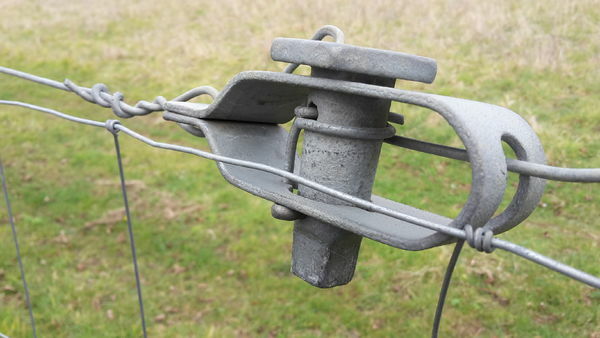 To support the mesh we strongly suggest installing a straining line wire and tying the fencing to the wire. 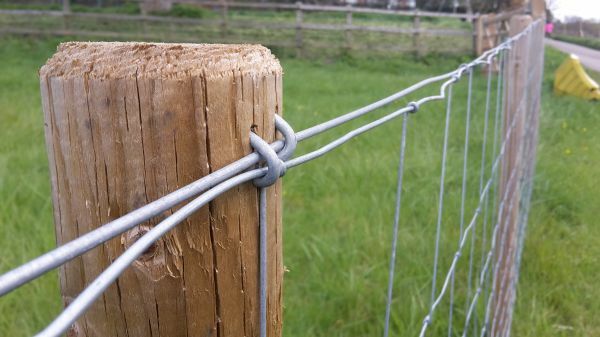 This will ensure that the fence is taut and will not sag. 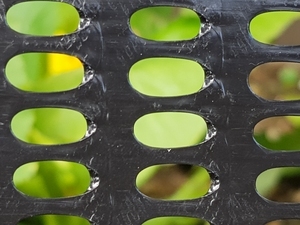 If installed correctly, our standard wind break fencing mesh will provide maintenance free wind protection for horticultural, agricultural and public and amenity applications. 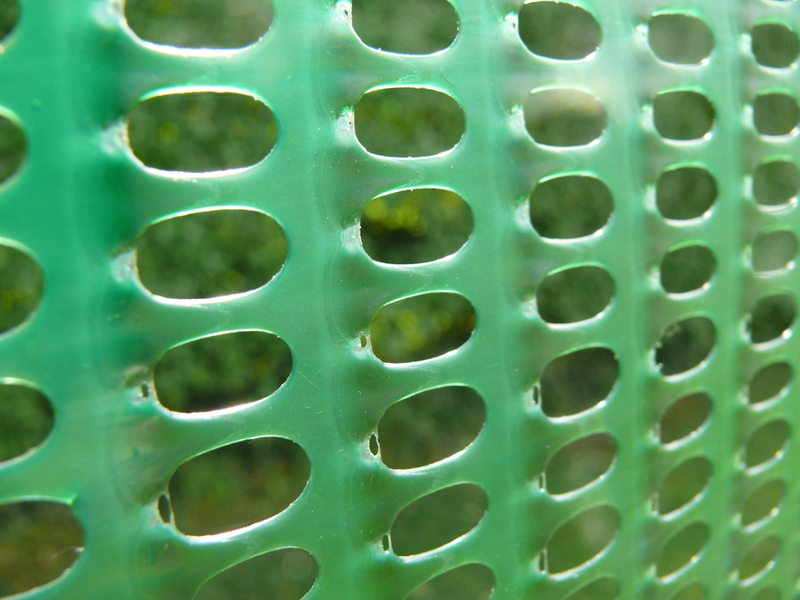 We also stock even stronger wind breaks manufactured from higher tensile plastic mesh with larger holes for more exposed sites. 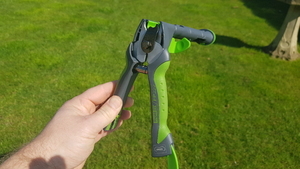 Please view our full range for details.